Vanan has grown to be one of the largest and companies in providing medical billing and practices services over the years. As a well-trusted company, we provide complete medical billing services of standard quality at economic rates to a large client base of medical providers in USA. The services we offer are customized, with costs that can satisfy your needs. We are a dedicated team providing healthcare related medical billing and coding services following a smooth workflow making your experience efficient and affordable. We ensure timely filing of your claims and compensations from both insurance carriers and private customers. ✓ Assured increase in cash flow. ✓ Higher compensations, fewer errors, and lower revenue loss due to un-collected write-offs. ✓ We cut down your operating expenses. ✓ We don’t charge any initial expenses. ✓ Accurate automated claims and electronic submissions. ✓ Minimizes the need to purchase and maintain computer hardware & software or annual support services. ✓ Available 24/7/365 – we are not affected by staff vacations or sick days – we got professionals ready to take over all the time. ✓ We have no retraining and staff turnover. ✓ Fastest receivables for 100% claims followed up. ✓ We see to it that all our claims are submitted in 24-48 hours. ✓ Our experienced team will take care of all aspects of insurance collection and patient billing for a variety of medical providers. ✓ Our dedicated staff make sure you are provided with accuracy and proficiency in your billing. ✓ We stand out in handling key-phases like claim creation, claim scrubbing, charge entry, AR calling, and denial management. We make sure of the accuracy of each claim by quality analyst experts. ✓ Our staff has the knowledge and experience to coordinate payment arrangements when necessary. 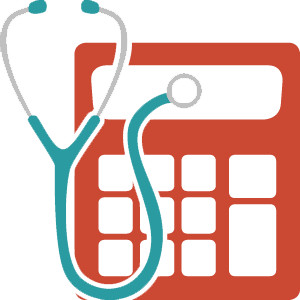 Billing patients are done on a scheduled and on a needed basis. ✓ We make sure our clients are handled only by trained and professional billing staff. ✓ We follow HIPAA billing procedures; processing of all third-party claims and payments are done in a timely manner.